This legislative session was a turning point: More than half of the members of the Assembly were freshmen, Democrats enjoyed a two-thirds supermajority in both houses and the state budget swung back into the black. This new era has ushered in fresh opportunities for clean energy investment, sustainable transportation and consumer protections from dirty, expensive energy production and consumption. While “A Bad Year in Sacramento for Environmental Measures” (San Jose Mercury News Page 1A, Sept. 15) identified missed environmental opportunities, there were significant achievements this year along with efforts that will be taken up in January during the second half of the two-year legislative season. Newly passed legislation, AB 217 (Bradford), will expand renewable energy, extending the state’s low-income solar programs to ensure the benefits of solar reach all Californians. Further, a “Green Tariff” program was created through SB 43 (Wolk) to allow customers of the state’s largest utilities to purchase up to 100 percent renewable electricity. These efforts wean the state off dirty fossil fuels, benefiting public health, and give customers choices. The state also doubled down on its commitment to sustainable transportation with the passing of AB 8 (Perea), an expansive effort to strengthen California’s alternative fuel and clean vehicles programs; SB 811 (Lara), a bill to protect disadvantaged communities and mitigate the impact of the Highway 710 expansion; and SB 359 (Corbett), which helps clean the air by providing incentives to drive plug-in hybrids and electric vehicles. In addition, California became the first state to adopt a major consumer protection bill aimed directly at deterring gas price manipulation and establishing recommendations for combating volatile gas prices with SB 448 (Leno). This oversight creates a more transparent market that helps alternative, lower-carbon fuels thrive and reduces emissions from transportation, the sector contributing most to climate change in California. Big oil spent a lot of money in Sacramento this year but still lost some fights and may be left feeling it needs to review its playbook. The Legislature passed a suite of bills to regulate the oil industry. In addition to SB 448, lawmakers moved legislation to ensure a skilled workforce is processing oil at our refineries in SB 54 (Hancock), and make sure taxpayers aren’t left holding the bag for oil and gas drilling accidents with SB 665 (Wolk). All told, key legislation passed in 2013 will account for nearly $1.3 billion of clean energy investment over the next five years, with an additional $3 billion mandated by voters and the Public Utilities Commission. However, policies are only as good as the leader who signs them into law. Gov. 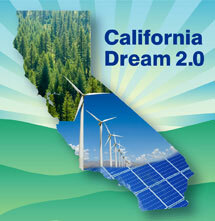 Jerry Brown has made climate change a focal point of his administration. We are counting on him to uphold that commitment and make these new bills the law of the land. Doing so will continue California’s legacy of innovative policies that move our environment and economy forward and improve public health. While we have a long way to go, most newly elected members are off to a positive start, standing up for consumers, health and the environment — a powerful message coming from a Legislature that will define the next generation of California’s environmental leadership. Lauren Faber is the West Coast political director for the Environmental Defense Fun, and Ann Notthoff is the California advocacy director of the Natural Resources Defense Council.